We were arriving from Ladysmith where we walked Cheetahs (http://www.cheetahinteraction.com/) and arrive around 1:00 after checking-in and having lunch. 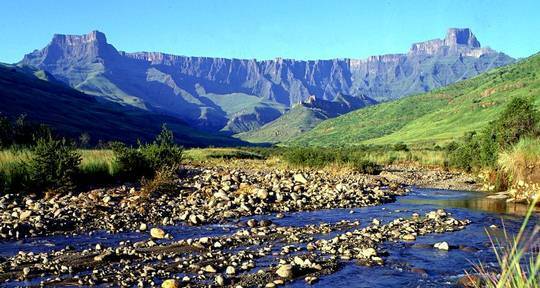 My goal was to do the Thukela (Tugela) Gorge walk in the Royal Natal National Park. It was supposed to take 6 hours (22 km), but I figured that I could do in a shorter period of time. My back-up plan was the Policemen’s Helmet hike, which supposedly takes 5 hours (14 km). 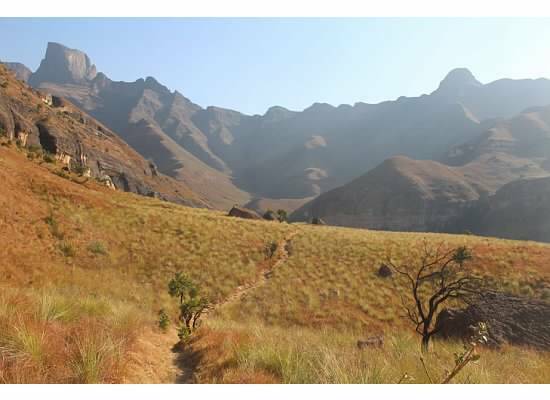 The receptionist at the Thendele Rest Camp where we were staying said that it was not feasible for me to do the Tugela Gorge hike since it was already 1:00 pm. As a result, I decided to do the Policemen’s Helmet. In the end, I was glad that I ended up doing that hike. The views were amazing and it only took me 1 hour and 15 minutes to get up to the top and an hour to get back down. I spent 30 minutes up top for a total of 3 hours. 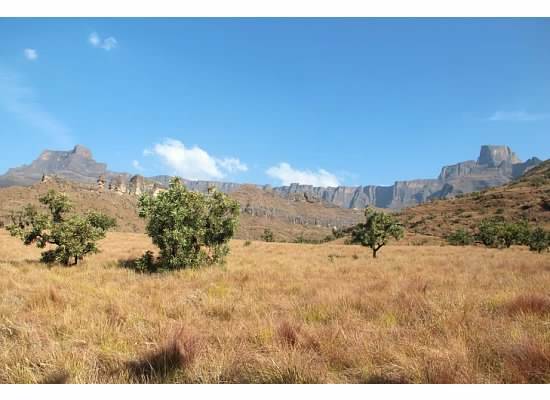 The views were breathtaking, and I could see the Tugela Gorge Hike trail from that vantage point. 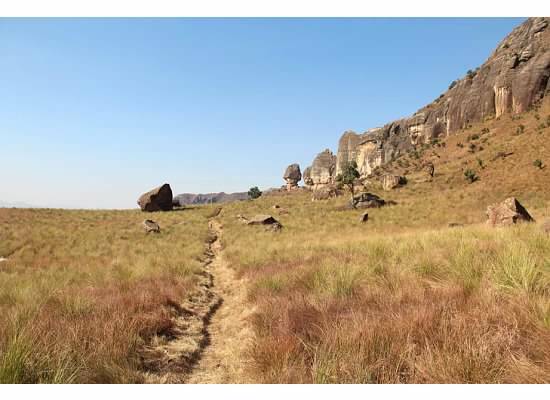 For the most part, the Tugela Gorge Hike follows the river until the end where you need to hike through the river or climb over some rocks. 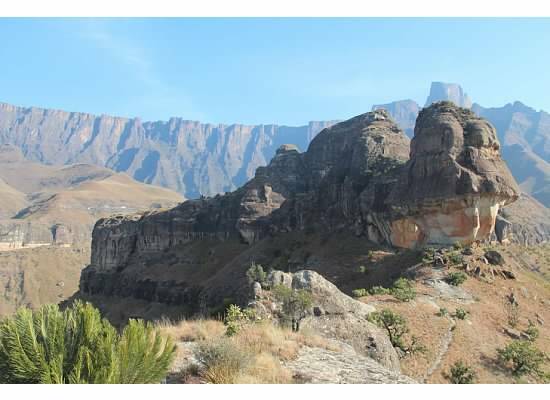 I personally felt that I probably got better views from this hike and saw more varied landscape. My opinion (and I could be wrong) is that you will get mostly the same viewpoint (though very beautiful) of the Amphitheatre compared to Policemen’s Helmet where you see it from different angles. 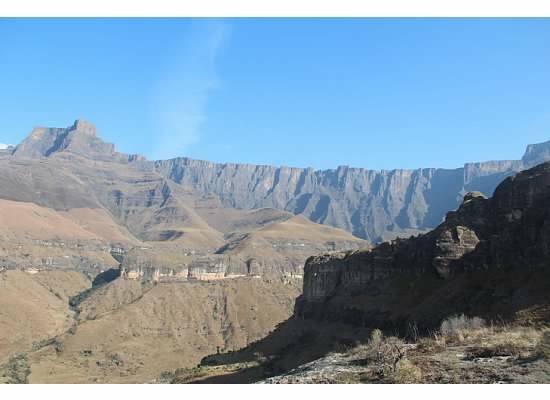 This link below is the best blog post that I could find on the Tugela Gorge Hike. I have included a couple of my pictures from Policemen’s Helmet. If you have enough time, I suggest doing both hikes. If not, I think Policemen’s Helmet is a great option if time is running short. 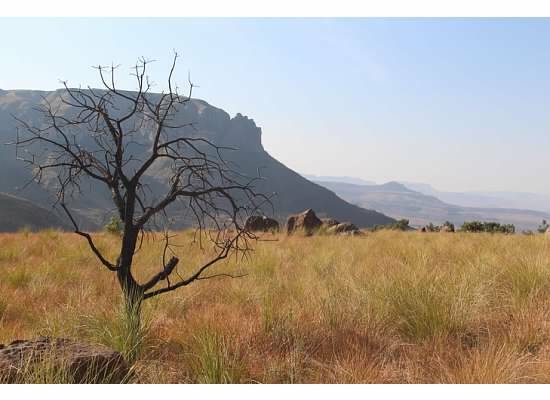 TIP: You should definitely stay at Thendele Rest Camp. It was amazing. We had a full kitchen that allowed us to make breakfast and dinner. In addition, we were able to make a nice fire in our lodging. It was a great experience!